PowerArchiver 13.00 0 out of 5 based on 0 ratings. * File list color coding – Background color of file list columns changed based on file size, compression ratio, file type. Completely configurable. Button on status bar for easy on/off. * Enhancements of Modern/Ribbon interface – Active tabs based on file currently clicked on (Preview tab currently). * Easy/Advanced Ribbon interface options – new Easy option for interface that removes less used tabs to make it easier for new users to start using PowerArchiver. Button on status bar for easy on/off. 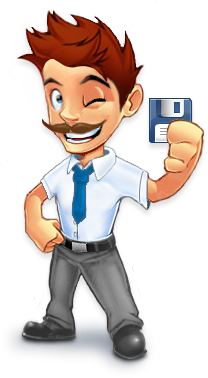 * RAR Compression support – PowerArchiver will use WinRar to compress to RAR within PowerArchiver interface. * RAR Extraction improved – 5% speed improvement on RAR extraction, up to 15% faster than WR 4.x, 30%+ over WR 3.9x. * New Explorer mode for reading archives – New mode that shows paths as folders but does not display contents of hard drive, set as default option. * Redesigned Shell Interface – easier to use, easier to view. * Encrypted Icon – Added encrypted icon to the file list, for easier recognition of encrypted files inside archive. * Improved look of various windows – such as progress bar, etc, matching Win8 look more. * Wiki Help by default – converted help to Wiki online system, enabling better search, youtube tutorials (over 20+ available), better translations for the future and user interactions. Offline help pack will be available. * Single version – Multilingual, improvements – From now on, PowerArchiver will be distributed only as Multilingual software, with over 20+ translations. Due to compression improvements and online help, multilingual version has been reduced in size by almost 50%. * Password Policies – Allows you to setup minimum password policy/rule, to force your users to enter passwords with proper length and mix of characters, so they will be harder to crack. Options include: minimum password length, forcing of lower case, upper case, numeric and symbol characters, independently. * Password Profiles – You can setup password profiles and then you can select them from the dropdown during password entry, thus enabling higher productivity. It works both in Encryption and Decryption, for all modes supported. * File Wipe – Wipes your temporary files by using DoD 5220.22-M suggested methods for clearing and sanitizing information on a writable media. You can select between 1, 3 and 7 passes.